A Bruges to Ypres day trip is a convenient way to explore Flanders Fields. 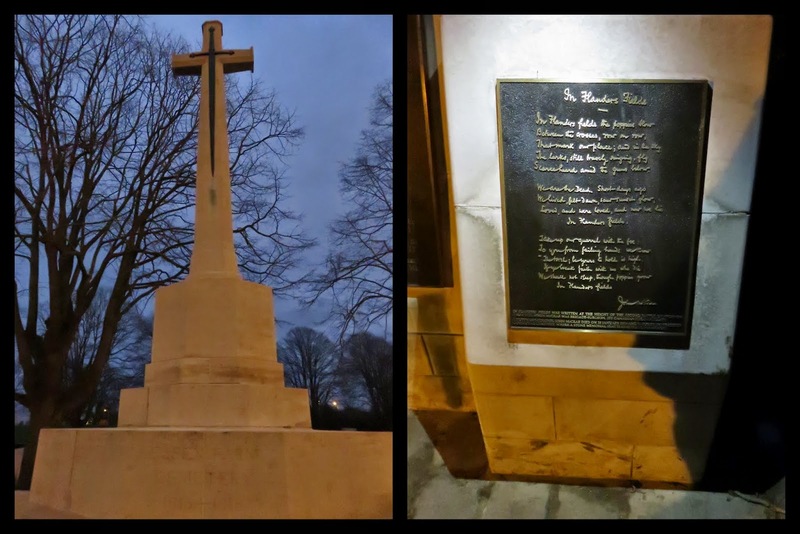 Our end-of-year trip to Belgium coincided with the 100th anniversary of World War I. 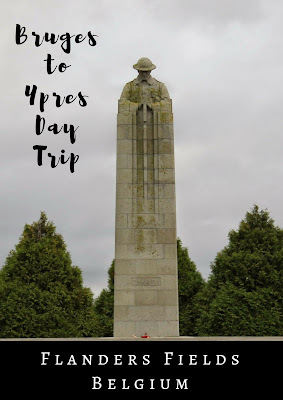 We've visited many World War II sites on our travels but knew very little about the 'Great War' and wanted to learn more. 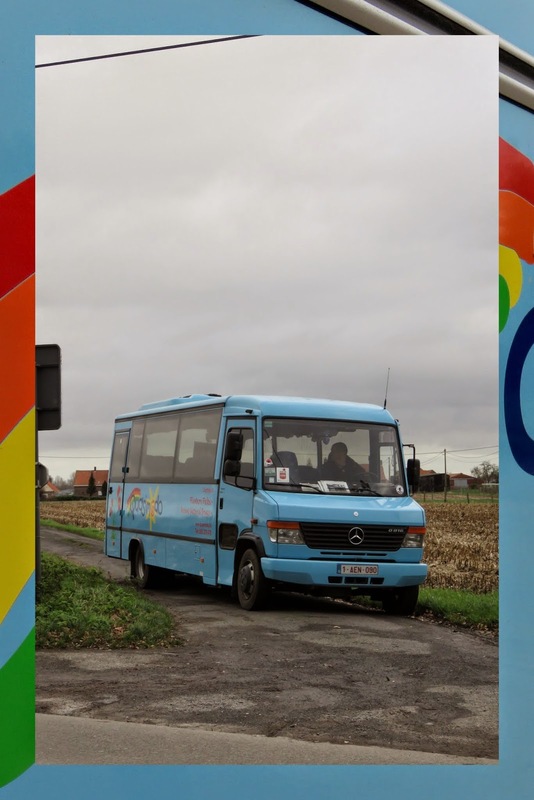 Flanders Fields are an easy day trip from Bruges and Quasimodo runs daily bus trips to the WWI memorials in the area. Here are twelve things that we learned on our tour of the area. Even the enemy is laid to rest and memorialized in Flanders. 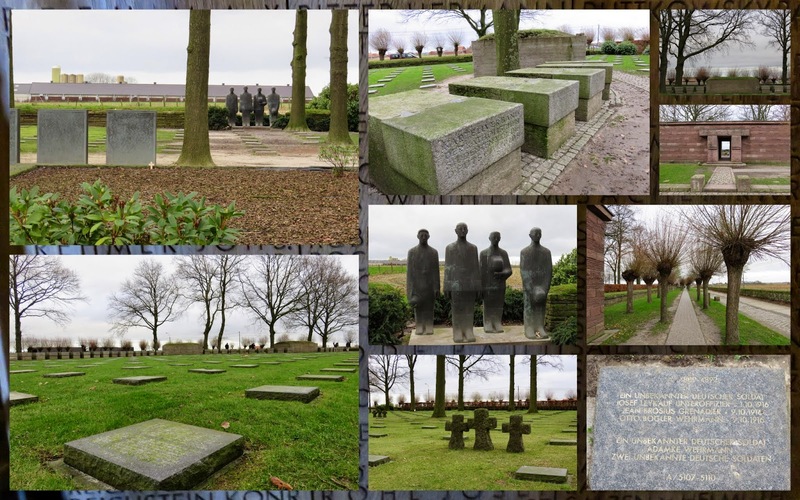 We visited Langemark German Cemetery. 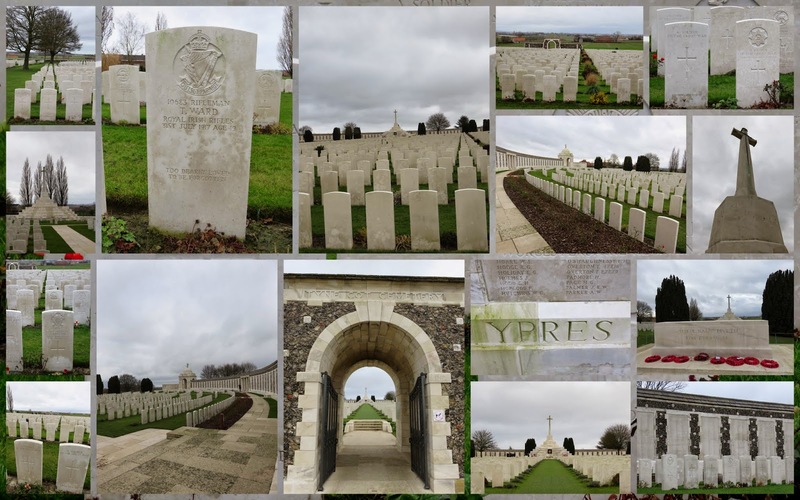 Over 20,000 known (and unknown) soldiers are buried here, 3,000 of which represent student volunteers who died young in the First Battle of Ypres in the Autumn of 1914. The brooding soldier remembers the 2000 Canadian soldiers that lost their lives in the first gas attacks of World War I. The 'Great War' really seemed to be about the greatest brutality that humankind could inflict on the other with chemical weapons put into play on the battlefield for the first time. Farmers routinely find old ordnance when ploughing their fields. 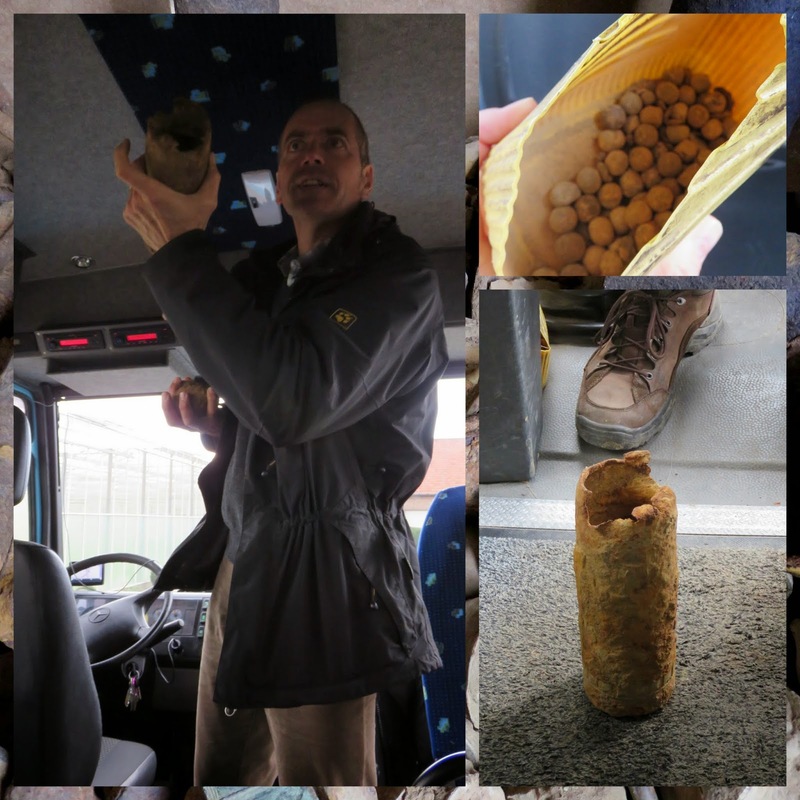 Millions of rounds rained down on the trenches 100 years ago and are still being unearthed today. Occasionally mustard gas canisters are found and the locals call in specialists to clear the threat to themselves which they still present today. Only 10% of the New Zealand forces that advanced on Gravenstafel survived to tell the tale. An obelisk now stands in their memory. In this area, we also visited a farm. Philippe (our guide) opened the door to the garage and piles of rusty weapons and other artifacts were stacked inside. This just drove home for us the scale of World War I.
Tyne Cot is the largest of the Commonwealth cemeteries. We saw the names of both British and Irish (Ireland was still technically part of Great Britain at the time of the war) soldiers spelled out on individual graves and on the memorial walls for those that were never found. Almost 50,000 people are memorialized in this place. We took a walk of quiet reflection around the perimeter. 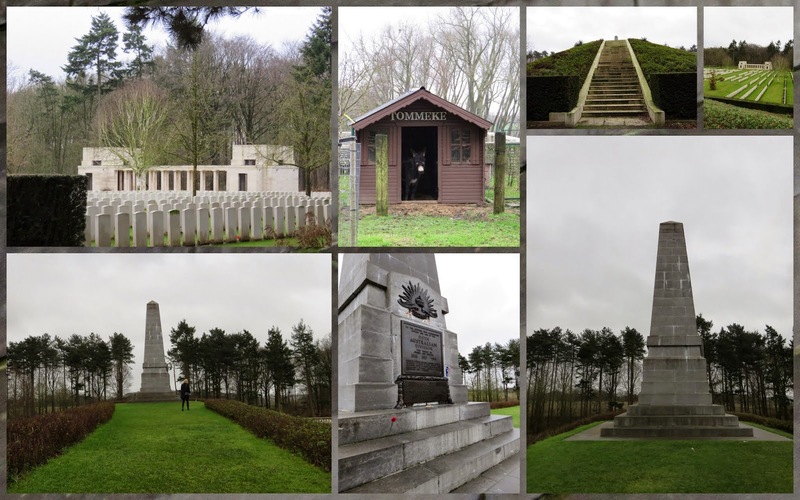 We stopped at the Australian Memorial in Polygon Wood to pay our respects to the Australian soldiers that traveled halfway around the world only to lose their lives on the battlefield. A donkey stood watch from the farm across the road as we filed in. We stopped at Cafe Taverne de Dreve for lunch. 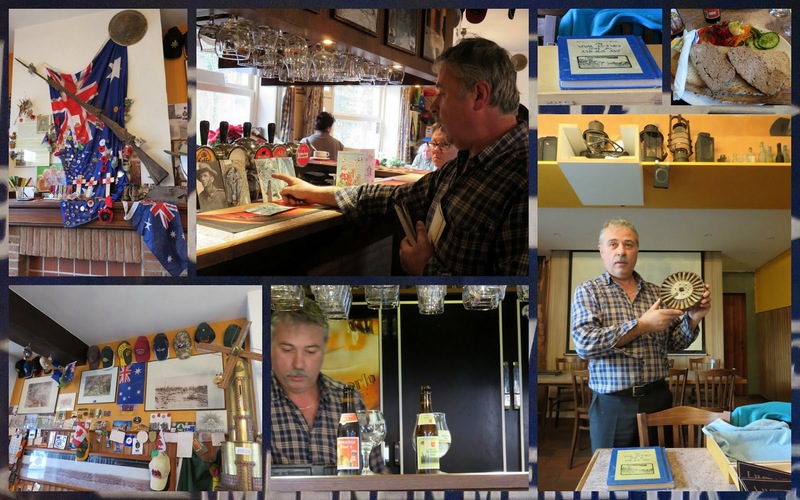 Owner Johan Vandewalle mesmerized us with stories from World War I and the archaeological finds in the area. He himself discovered the graves of three Australian brothers. He was on a dig when he spotted the reflection of an eye which led to the find. The cafe is rich in memories and Johan is an amazing storyteller. He is currently raising funds for a memorial to these fallen brothers. 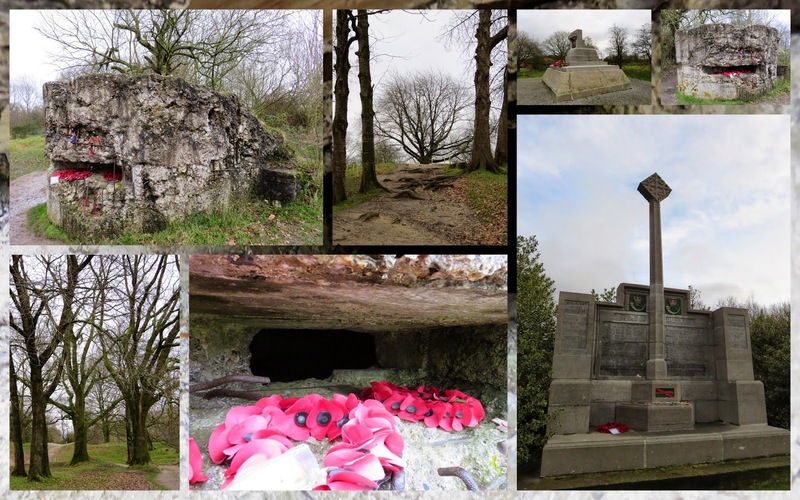 Hill 60 is just 60 meters above sea-level but that was enough of an elevation to make this hill a hotly contested battlefield during the Great War. 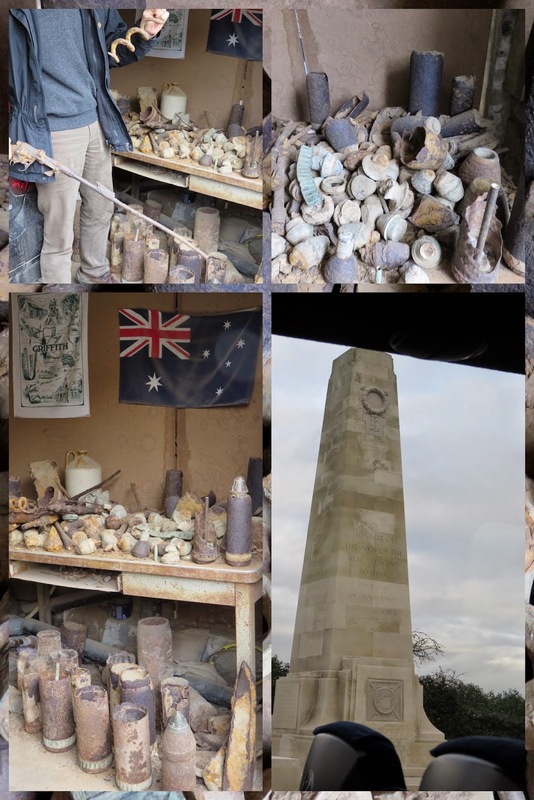 We wandered around the trails through the hill passing memorials to Australian and British soldiers. We also stood in silence outside crumbling bunkers decorated with poppies. 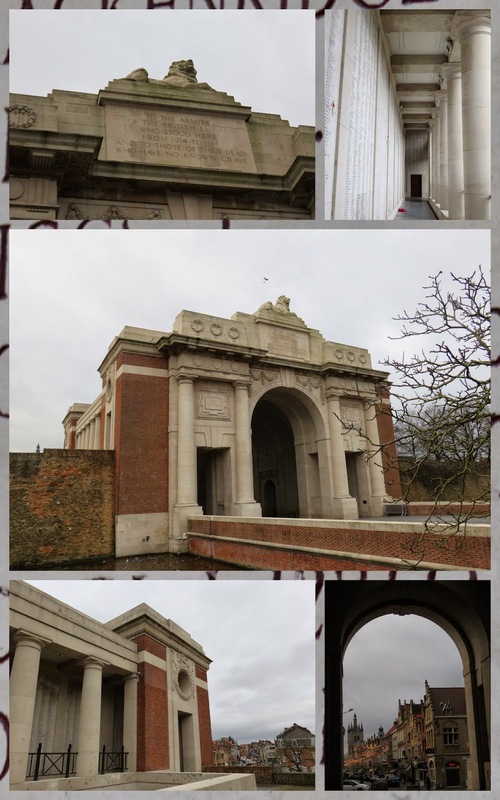 The sheer scale of lost life in World War I was driven home for us when we toured Menin Gate at Ypres. 55,000 names of soldiers that fell but have no known grave are represented here. The gate is now the main entrance the the town of Ypres. Every day at 8 pm, buglers pay their respects to those who lost their lives during WWI in a ceremony at the Menin Gate called the Last Post. 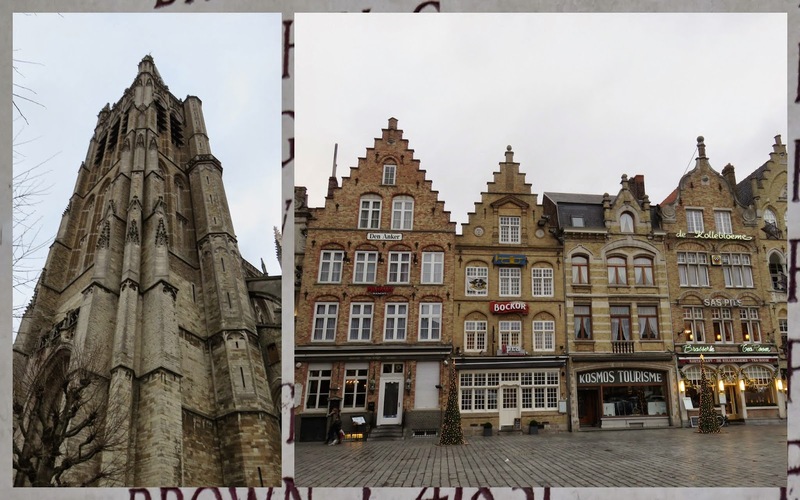 Ypres is a thriving Belgian town with classic architecture and a cobbled Grote Markt ringed with shops. It's hard to imagine that this idyllic spot was one of the most hotly contested pieces of land in World War I and that hundreds of thousands of soldiers lost their lives to defend it a 100 years ago. 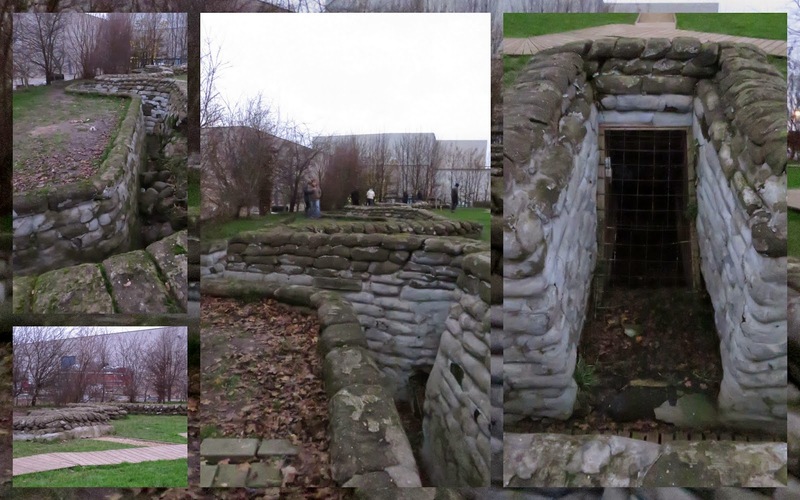 We had the opportunity to see a preserved trench for a glimpse of what life would have been like for the soldiers of World War I. Struggling through mud, fighting cold and disease, the soldiers faced miserable conditions during the years that the war raged on. 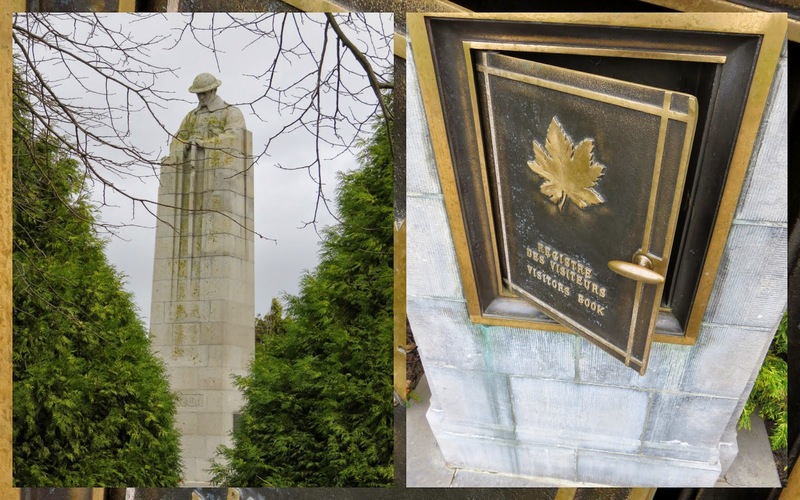 It is here at Essex Farm that Canadian Dr. John McCrae wrote the moving poem 'In Flanders Fields'. It feels appropriate to end this post by reciting this poem about senseless loss. 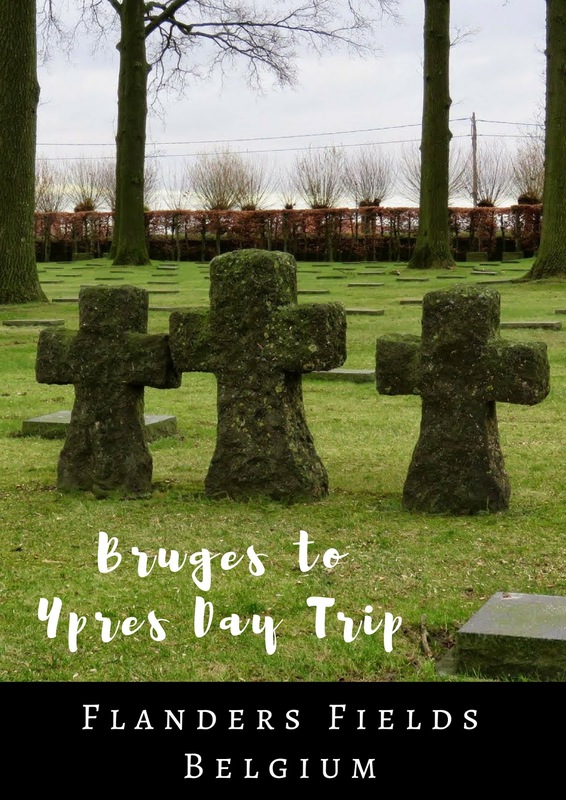 Take a Bruges to Ypres day trip to see Flanders Fields. Travel from Bruges to Flanders Fields Belgium on the 100th anniversary of WWI with a Quasimodo tour.